Welcome to the Cobblestone Inn & Suites in Schuyler, Nebraska. 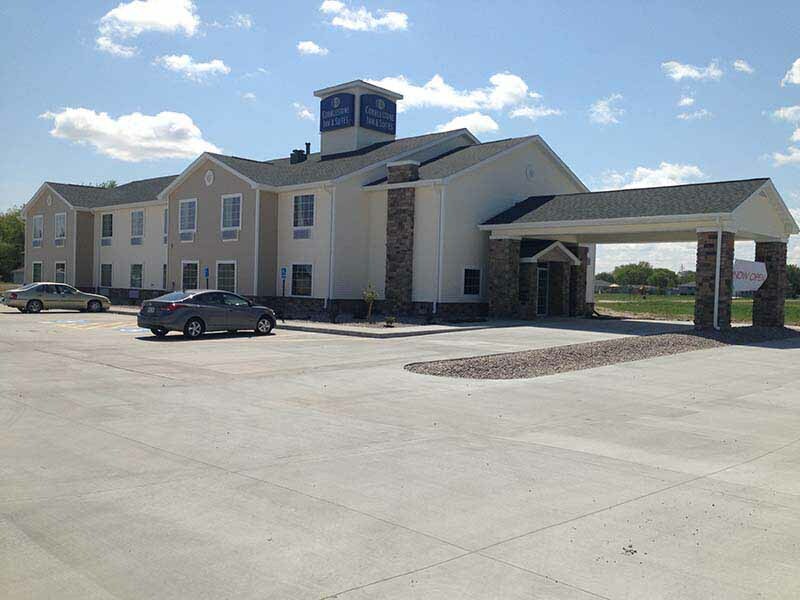 Our beautiful hotel is conveniently located near everything that Schuyler, Nebraska has to offer including Schuyler Community Schools, Alegent Health Memorial Hospital, Saint Benedict Center, Kracl Funeral Chapel, and more. Our hotel provides easy access for traveling to and from U.S. Highway 30. Located north of Interstate 80 and west of Interstate 29, our hotel is within 70 miles of Omaha, Nebraska. In town for business? The Cobblestone Inn & Suites in Schuyler, Nebraska offers easy access to Cargill Meat Solutions, CHI Health, Schawn’s, NOR-AM, QC Supply, Golden Living, and much more! In town for some fun? Check out the St. Augustine Parish Hall, Schuyler Oak Ballroom, Merchants Park, and Schuyler Park.